Russia will host the IIHF World Championship in 2023, the first vice-president of the Russian Ice Hockey Federation, Roman Rotenberg, has told TASS. “Everything has been decided. The three federations have come to an agreement. Russia’s St. Petersburg will host the World Championship in 2023, the Czech Republic, in 2024 and Sweden, in 2025,” Rotenberg said. The decision was made at the IIHF’s semiannual congress in Malta. The official announcement St. Petersburg will host the World Championship will be made at the annual IIHF Congress in Bratislava during next year’s world tournament. Earlier, the president of St. Petersburg’s club of the Kontinental Hockey League (KHL) SKA, Gennady Timchenko, said that the world’s largest ice hockey stadium would be built in St. Petersburg by 2023. He estimated the project’s costs at no less than 20 billion. 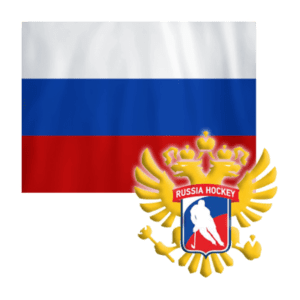 Also in 2023 Russia will host the IIHF Ice Hockey World Junior Championship (WJC, or World Juniors) for national under-20 teams. It will be held in Novosibirsk. In 2000 St. Petersburg hosted the world championship for the first time and in 2016 it shared that honor with Moscow. It will be an eighth world championship to be held in Russia. The previous ones were in Moscow in 1957, 1973, 1979, 1886 and 2007.